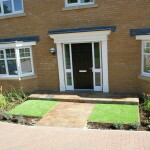 It often seems that front gardens are very much neglected these days. Most are concreted over for parking and the remainder are seen as a nuisance and given very little attention. 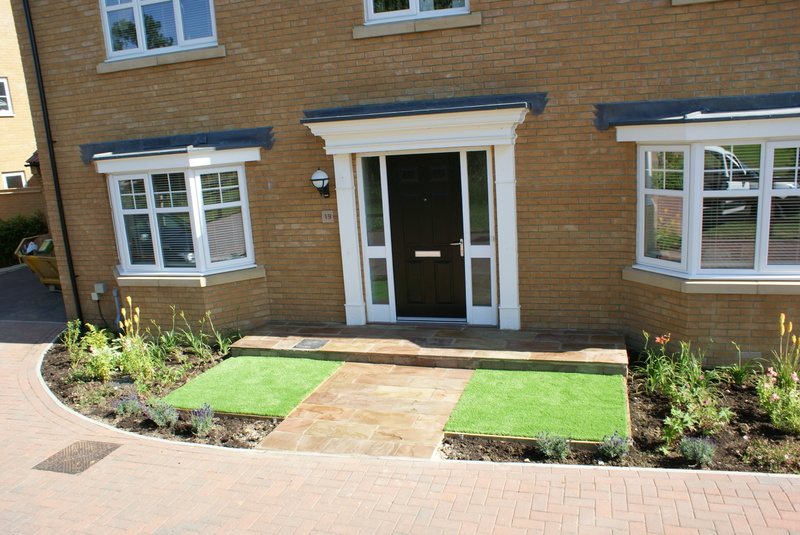 It’s a great shame because front gardens are so important, not only in the way they can enhance or detract from the appearance of our home but also in the way they can make the difference between a neighbourhood that you’d want to live in and one that appears shabby and run down. 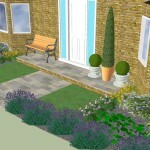 The 3D plan really helps clients to understand and visualise the potential for their garden. I’m not often commissioned to design for front gardens so it’s always a delight when the opportunity arises. The garden shown here is for a home on a new build housing estate in Lonstanton Cambridgeshire, hopefully the pictures are enough to convince that I’m right about the benefits of a well designed and cared for front garden and the difference it can make. Here I simply widened the path to make a more formal approach and to bring it into scale with the doorway. 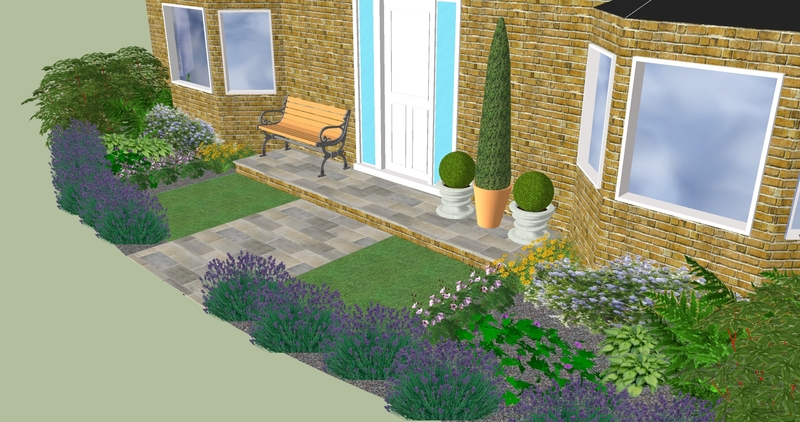 The remainder is just a patch of artificial grass either side of the path and some modest planting to frame the whole and better define the boundary.These plants will soon mature to look just like the original 3D plan.